If a company uses IFRS for accounting purposes, IFRS 16 will apply from January 2019, in determining the value of assets shown on the balance sheet. HMRC are updating their guidance for this. Certain HMRC approved tax advantaged share schemes have awarded interests in, or options over, particular types of instruments generally issued by companies in Switzerland, Germany, Austria and France and known as ‘jouissance shares’ (‘actions de jouissance’) in French and ‘Genuβscheine’ in German. HMRC has concluded that such instruments do not satisfy the ordinary share capital conditions within the employment related securities legislation in ITEPA 2003. Although ‘Genuβscheine’ and ‘actions de jouissance’ carry an interest in dividends and in a winding-up to unpaid dividends, they do not carry an interest in company capital so they cannot be shares in share capital. HMRC will honour existing Income Tax treatment in relation to interests in or options over such certificates or ‘shares’ already granted. Within 92 days of granting the original options, the options can simply be re-notified. You should cancel the originally notified options in the next EMI annual return as if they were options cancelled for no payment. After 92 days but within 9 months of granting the original option, you should contact HMRC for a reasonable excuse code and follow the instructions for correction within 92 days (above). A delay or failure on the part of the company’s agent is not automatically a reasonable excuse on its own. After 9 months of granting an EMI option it is HMRC’s view that errors cannot be corrected, and a disclosure must be made to HMRC who will consider whether the error was material and whether the option still meets the legal requirements to qualify for tax advantaged treatment. If the option was incorrectly granted it may be that it needs to be cancelled and a new option granted. 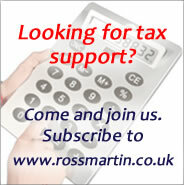 You can contact HMRC in cases of uncertainty. Guidance on how to do this can be found in ERS Bulletin 24 or ERS Bulletin 25. HMRC considers that the EMI working time declaration is a statement at the time of grant of the option that the individual meets the working time commitment which must be made at the time the option is granted. If details of restrictions on shares at the date of grant have not been notified to the participants at that time, the employer should remedy this as soon as possible in line with HMRC guidance. HMRC will advise whether any proposed retrospective action could result in the options not qualifying for tax advantaged treatment. HMRC Shares Assets and Valuation have recently updated the form SAV: application for a share valuation in connection with Enterprise Management Incentives (VAL231). Make sure you use the latest version when applying for EMI scheme approval. Employment related securities annual return for 2018 to 2019 must be filed electronically on or before 6 July 2019. All new schemes established during 2018 to 2019 must be registered by 6 July 2019.